you can buy the pack chestnut from hypermarket or 7 Eleven. 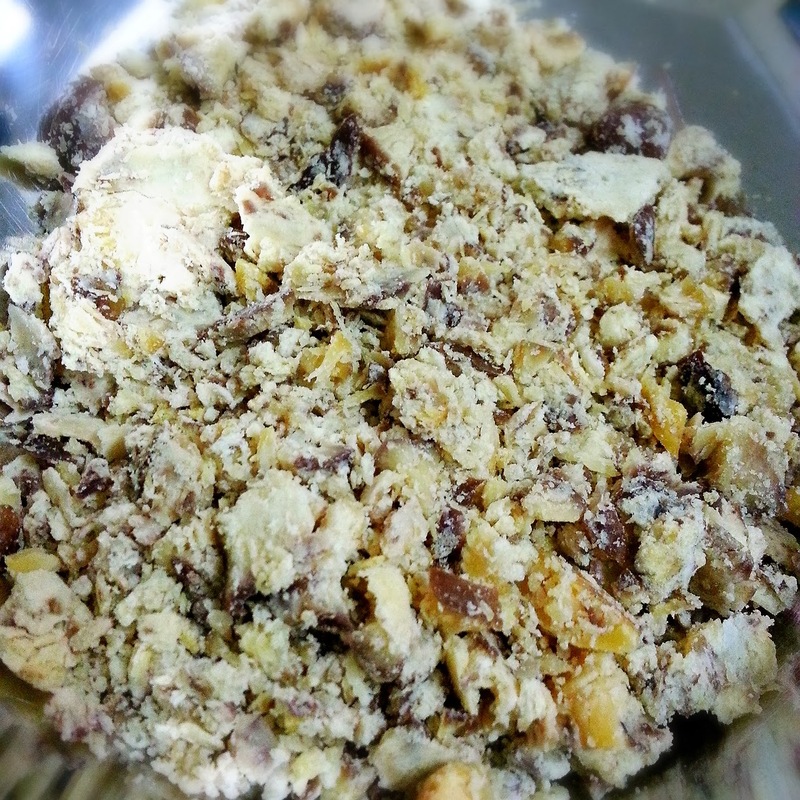 I don't have food processor...and I am lazy to wash my blender. I just put all chestnut in plastic bag, then took my hammer...repeat again hammer...just hammer it down..crushed it until like that! I have good time crushing this chestnut...good to release stress with that hammer!! Step 3 : standby disposable plastic glove...then make that chestnut powder into small balls like that....but mine hor...not small ball...make it big ball because I want to finish it soonest possible..impatient!!! 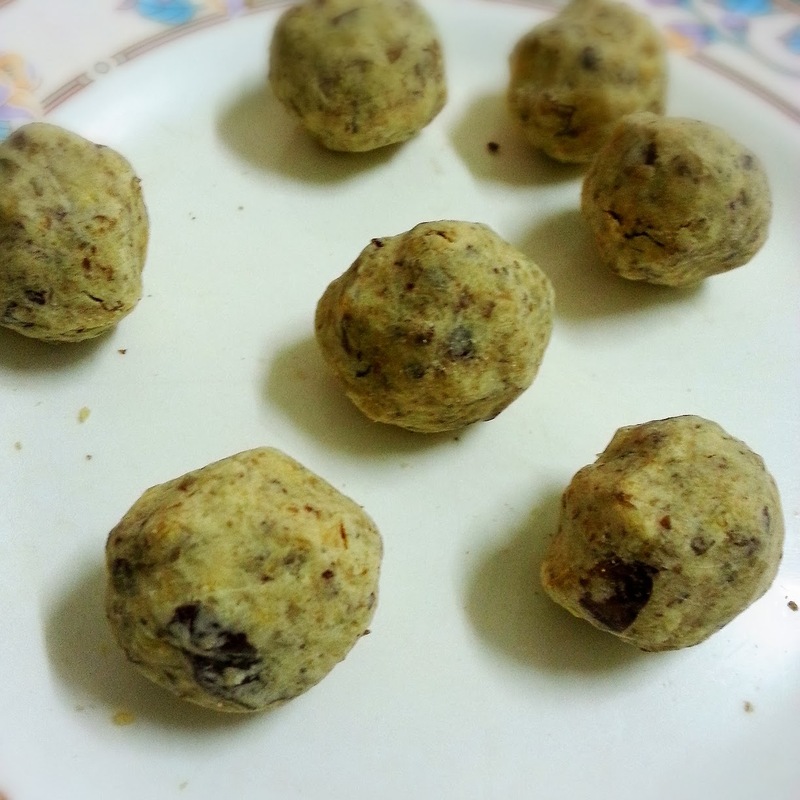 Step 4 : rolled over your chestnut balls with your favorite flavor. 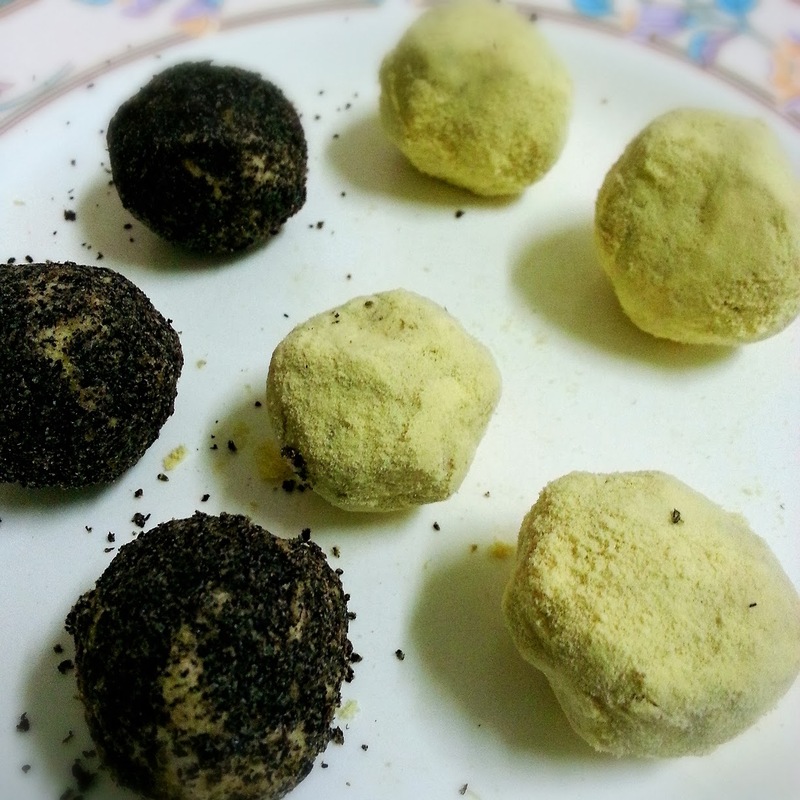 In my case , I have black sesame and soy bean powder drink...so I rolled my chestnut ball onto that two flavor powder. Mind that ball shape...not that Artistic to make everything so perfect round....hehehehee this is the impatient type of ball...made by impatient woman!!! As long as this is edible!!! If you have that cupcake paper bowl ...it will be nice to put the ball in it...look presentable..but I don't have that! 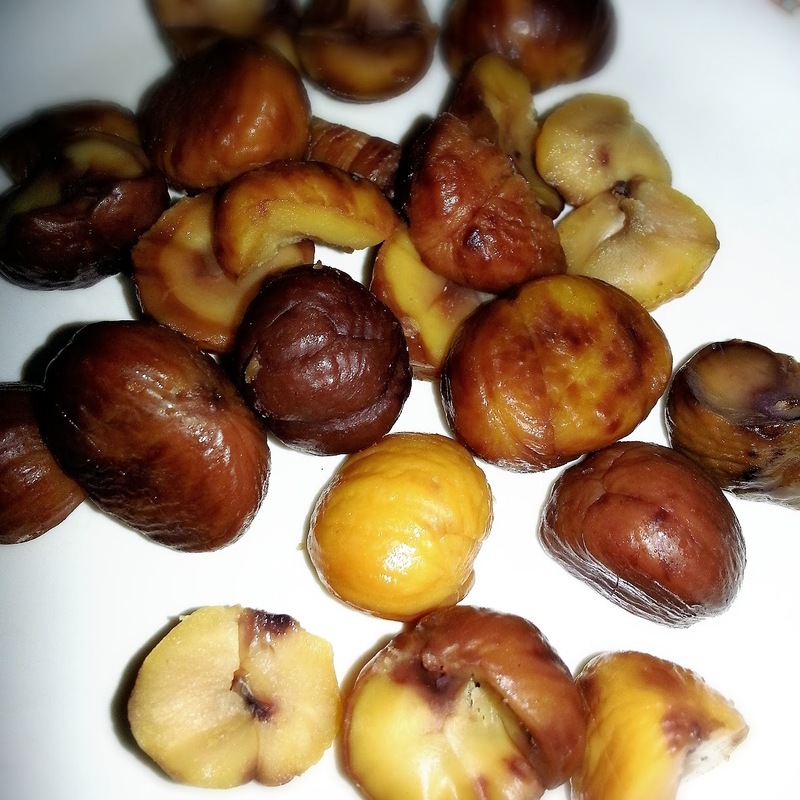 There you go...my healthy chestnut snack! Where did I learned this? I watched Joo Won made this in Happy Together Late Night Cafeteria Ep 310....muahahahahaha...so much of Korean Variety show influence...hor!! !